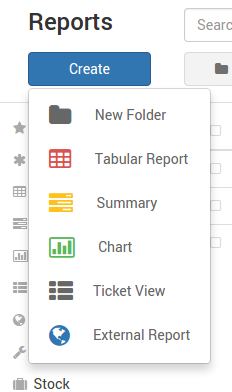 Ticket Views are available for you to further define the tickets you need to view by allowing you to select columns, and filter data, similar to a report. The difference is that Ticket Views are available in the My Tickets or All Tickets section. To create a Ticket View, click Reports from the left hand navigation, click the Create button, then click “Ticket View”. Report Name: This is a required field. 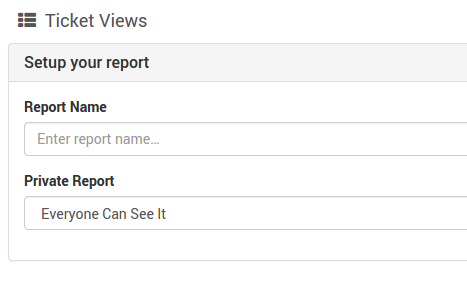 Private Report: A user can create a view that is visible to all users by selecting “Everyone Can See It” and all users will see the View in the All Tickets submenu. “Everyone Can See It” is the default value. Otherwise, a private Ticket View can be created by selecting “Only I Can See It”, which will show up under the creators My Tickets submenu. 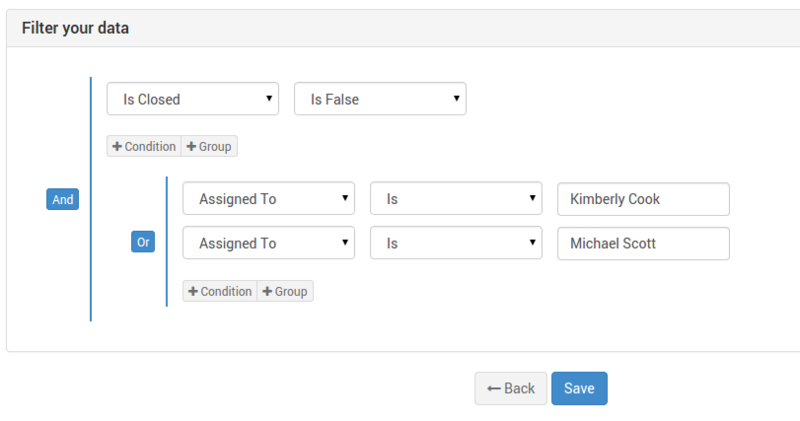 The fields that you select will be displayed as columns in your report. You may filter against fields that are not displayed. Please note that custom fields are available in this list. This filter would return all Open tickets that are assigned to Kimberly OR Michael. Ticket Views will accessible by expanding down the My Tickets section for private views, and the All Tickets section for views that everyone can see on the left hand navigation. The Ticket View grid follows the same rules as the My Tickets grid. 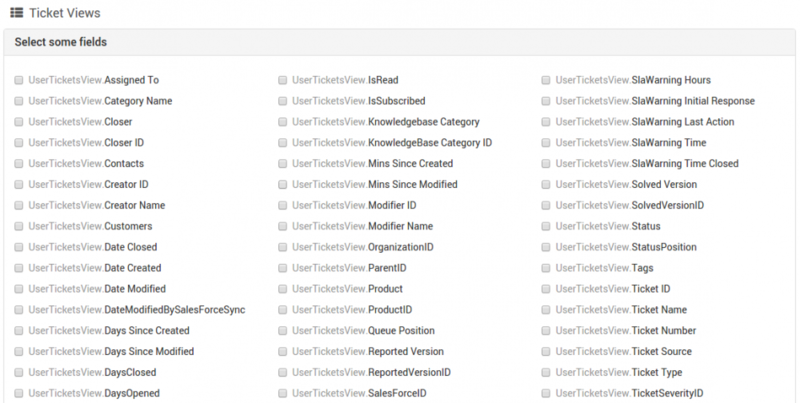 One addition is that you may edit the Ticket View from the My Tickets section by clicking on the pencil icon.